Welcome to Nepal. As you arrive at the Tribhuwan Int'l Airport, our representative will be there to welcome you with warm greetings. You will be then transferred to your hotel through private vehicle. We will later meet you at our office for pre-trip discusion. 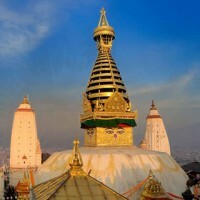 You will be exploring the cultural heritages around the Kathmandu valley including the Pashupatinath temple, Swayambhunath, Bouddhanath Stupa and Kathmandu Durbar Square. Evening pre-trip discussion and introduce with our fellow trekking staff for your adventure trip. After boarding a 20 minute flight to Pokhara, we can spend the rest of the day in this beautiful lake city. We can go boating in exotic Fewa, Rupa and Begnas Lake, visit the beautiful hilltop monastery, or explore the mystical caves. We can do some shopping, buy souvenirs and many more. . The city also offers a wide range of adventure activities like Paragliding, Zip Flying, Bungee Jumping and many more. In the evening we can relax and enjoy the vibrant city of Pokhara. After enjoying the trek we will drive back to Kathmandu, which will be about 6 hours' drive. On the way you can enjoy the scenic views of villages, rivers, mountain ranges and many more. Overnight at hotel in Kathmandu. 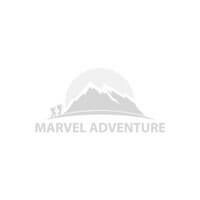 An Airport representative from Marvel Adventure will take you to the airport for your final departure from Nepal thanking you for the wonderful journey you spent with us.